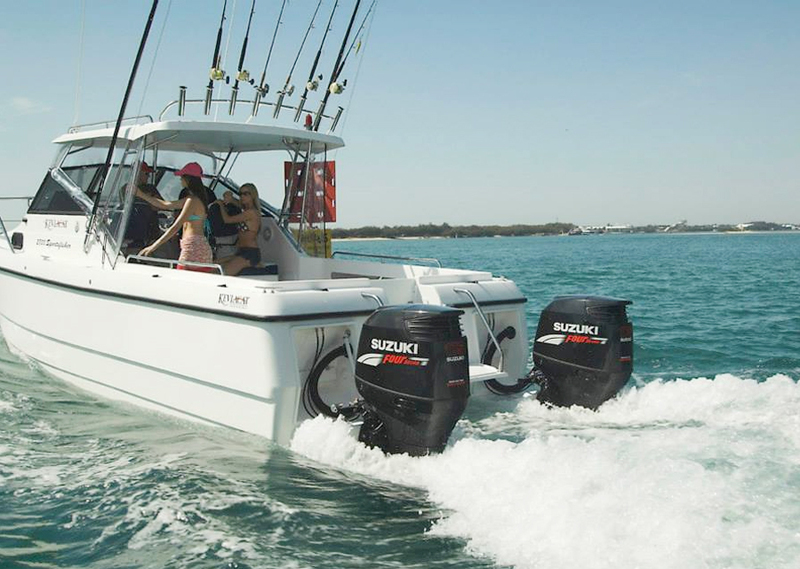 Winner of the Queensland Transport Designer of the Year Award in 1991, no other vessel in her class can match its proven performance and reliability! 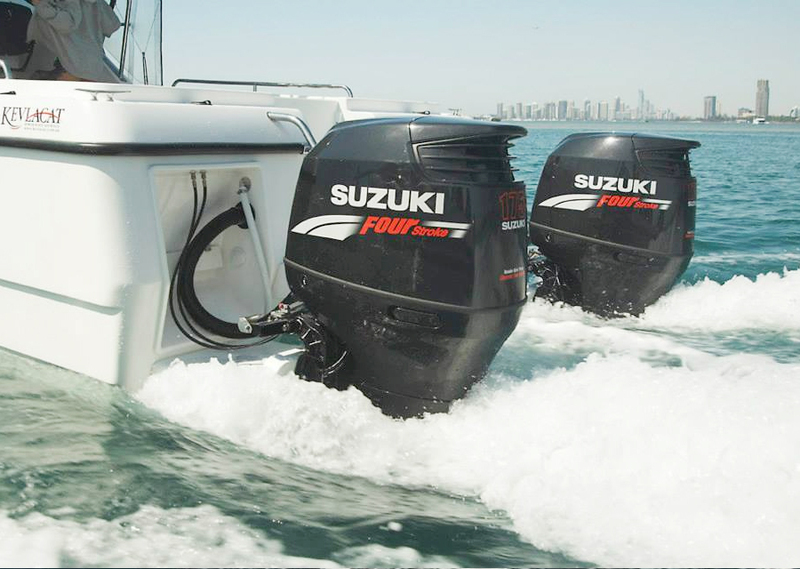 The fuel economy that the 170HP Yanmar diesel shaft drives achieve is truly unbelievable with two engines consuming 11.5 litres an hour. 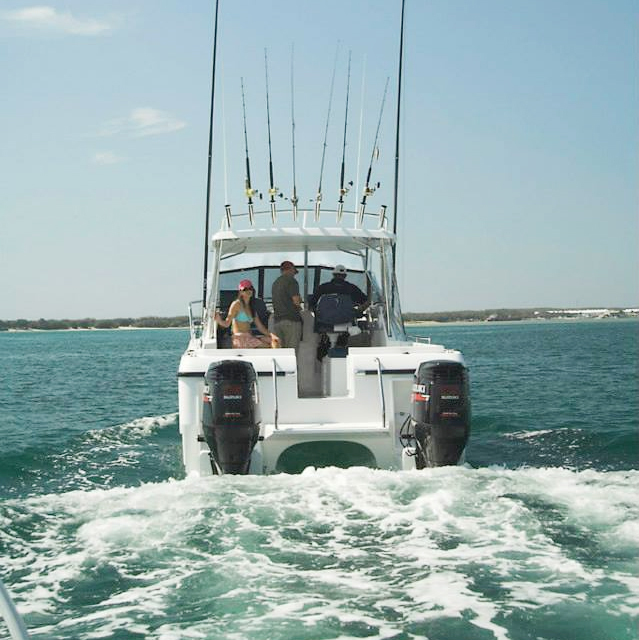 Many people ask us twice, ” …are you sure you have done your figures correctly?” If you are a professional fisherman, this is music to your ears. 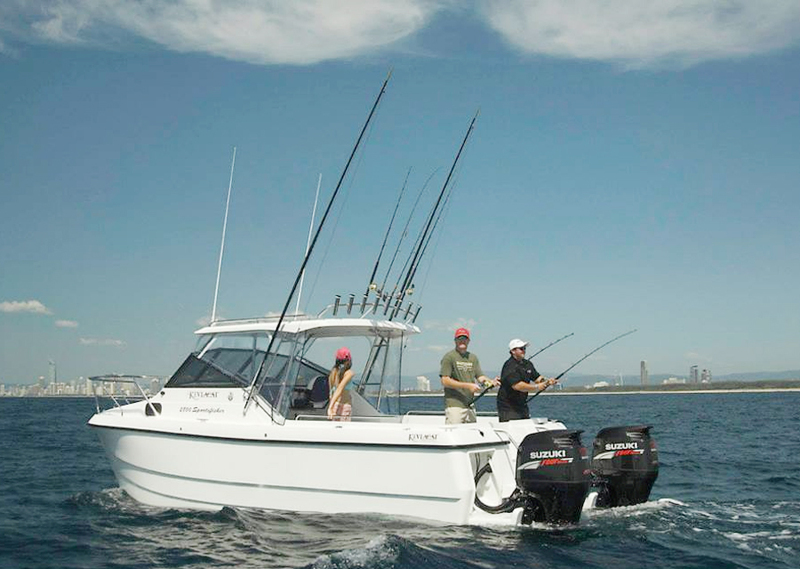 The 7.2 has proved itself time and time again in Game Fishing Tournaments with Reel Capture recently taking out Mooloolaba ‘s Billfish Bash. 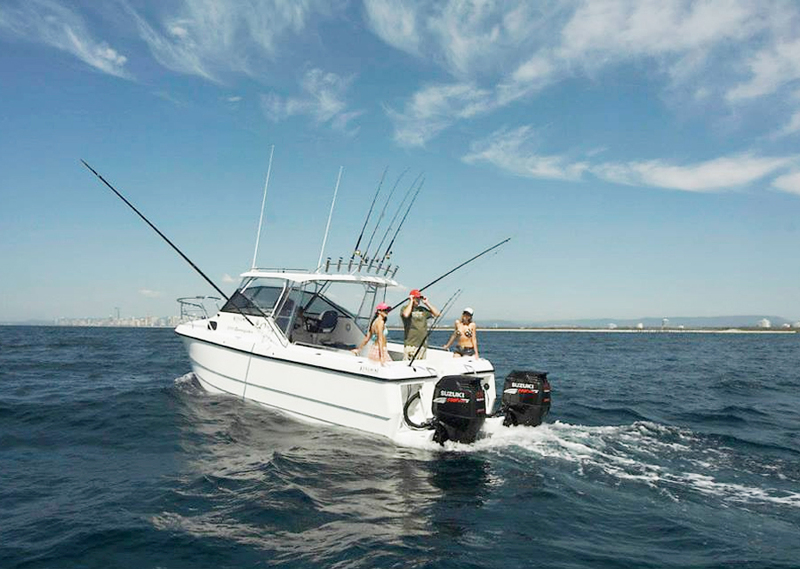 This is the vessel that the Australian Champion chooses to fish from. No other vessel comes near her class in sea worthiness and stability. 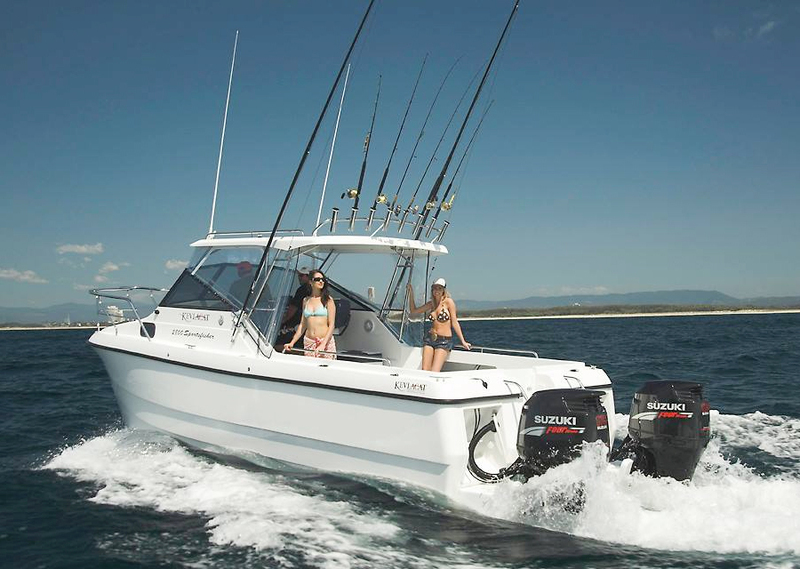 With a wide beam of 2.77 metres, the 7.2 metre KEVLACAT gives unsurpassed stability and deck space to please the most demanding fisherman, and yet the huge cabin can be customised to give incredible space and family comforts. 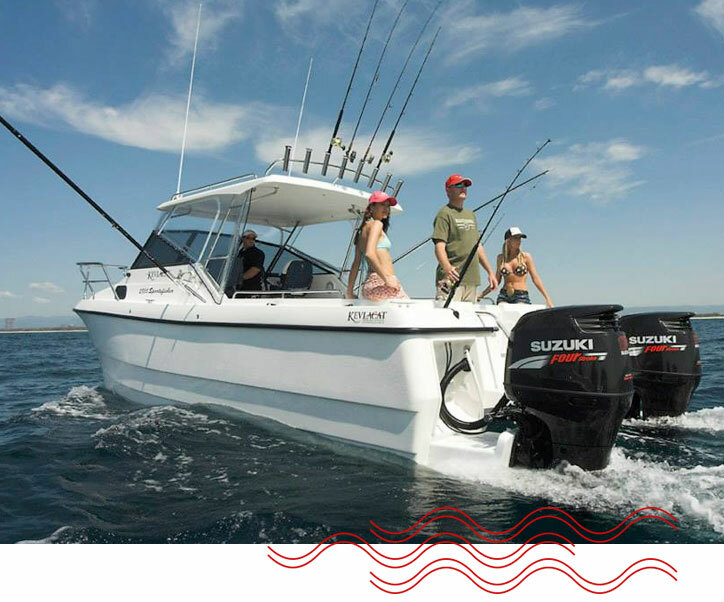 Whether you’re after a serious game fishing vessel, commercial vessel or just a safe family power boat, look no further. The 7.2 metre is now available with diesel shaft drive engines, a first for a vessel in this class. 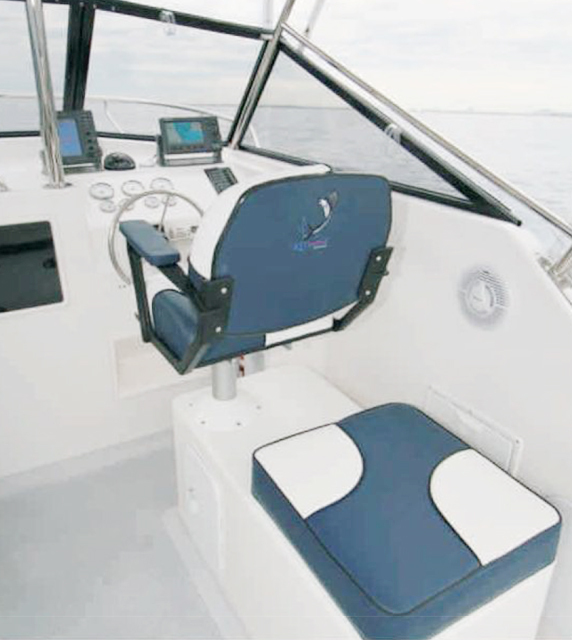 Still available with outboards or petrol stern drives.